The Landsat Program is the longest running enterprise for acquisition of imagery of Earth from space. The first Landsat satellite was launched by NASA in 1972. 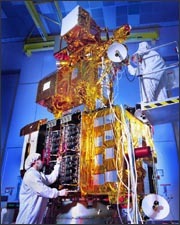 The most recent, Landsat 7, was launched on April 15, 1999.